Here we see the interface between the fetal placenta and the maternal uterus (decidua and myometrium). 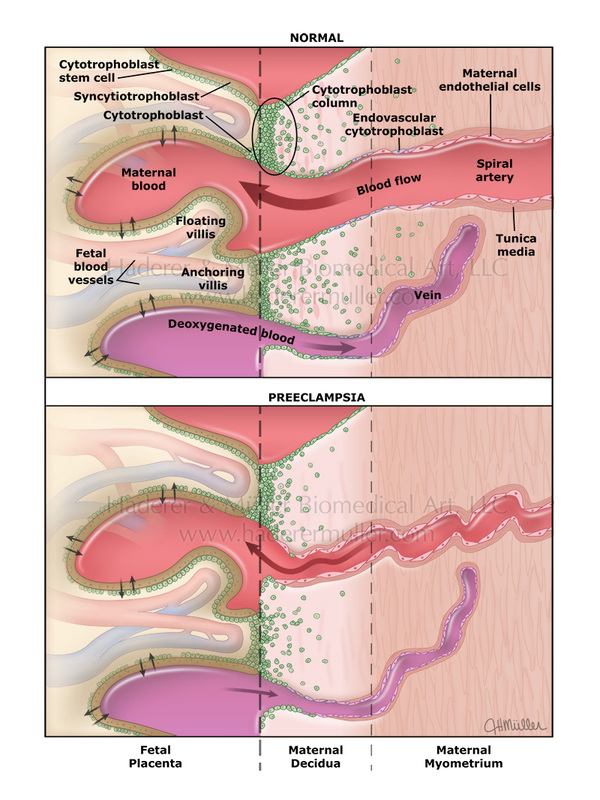 In placental development, fetal cytotrophoblasts change from an epithelial phenotype to an endothelial phenotype as they invade maternal spiral arteries causing an increase in the vessels’ capacity which leads to healthy placental perfusion. In preeclampsia, the cytotrophoblasts fail to change phenotype. The result is a shallow invasion of the spiral arteries and, therefore, incomplete placental perfusion.